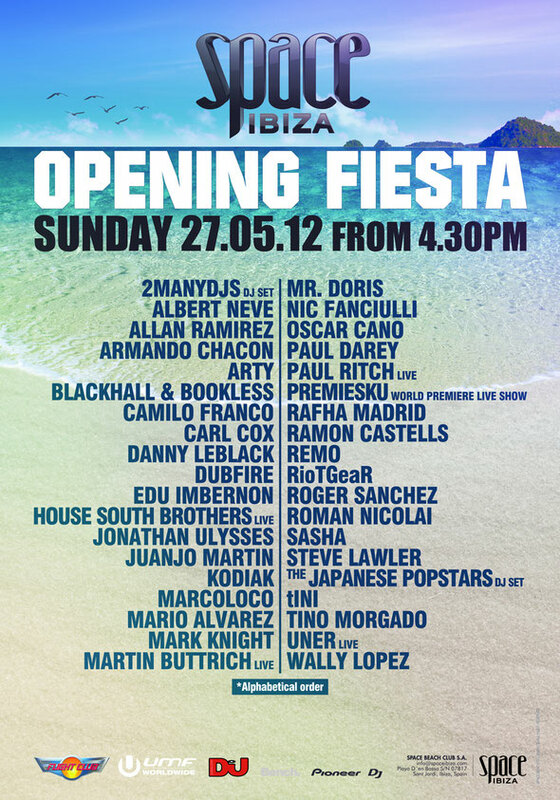 One of best opening parties on the planet is only three weeks away today and the final artists for the Space Opening Fiesta 2012 on Sunday May 27th at 4.30pm, were recently confirmed. In addition to the already impressive list of electronic talent, Arty, tINI, Martin Buttrich Live, Edu Imbernon, Jonathan Ulysses, Juanjo Martin and RiotGeaR have been added, alongside a world premier - the first ever live show by Premiesku. An innovative project by Livio & Roby, the guys will be unleashing their brand new Premiesku live show exclusively to Ibiza’s clubbing republic. Arty is flying in especially for the Opening Fiesta, the young Russian DJ and producer has been whipping up the electronic music scene with his euphoric brand of energy-infused house that’s making him a favourite amongst his industry peers. RiotGeaR, the duo from Florida appeared at UMF earlier this year and have been cooking up a storm with classic progressive dance music and dark and funky rhythms. 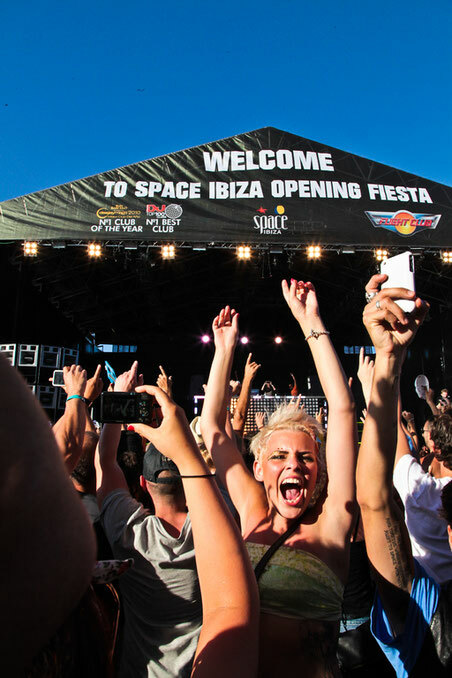 As always, Space will be resurrecting the Flight Club for the open-air zone of its extravaganza with a show incorporating jaw-dropping visuals, performance artists and luscious dancers. Head inside and DJ Mag are hosting the Discoteca where you’ll find stunning décor, a magical atmosphere and one of the finest sound systems on the planet. UMF will also be hosting a room including 2manydjs, Mark Knight and Roger Sanchez. Juanjo Martin is also set to play the Terrace, and he’s going to be a regular face at Space Ibiza this summer. Tickets for the opening can be purchased HERE.